All across the ocean, marine organisms from tiny fish to enormous whales rely on sound and hearing for their survival. But increasing human activity within our ocean over the last century has also meant increasing levels of noise. Across the National Marine Sanctuary System, sanctuary managers are working to understand the soundscapes within their protected areas so they can better safeguard the species that rely on sound. How are they doing it? 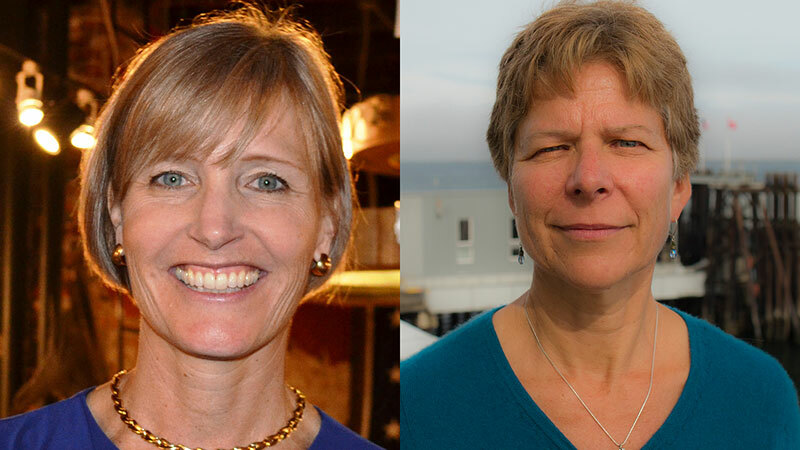 Read on for two perspectives from Gray’s Reef National Marine Sanctuary superintendent Sarah Fangman and Olympic Coast National Marine Sanctuary superintendent Carol Bernthal. Olympic Coast National Marine Sanctuary is located off the coast of Washington state’s Olympic Peninsula. Why is sound important in that sanctuary? How would you characterize the sanctuary’s soundscape? Carol Bernthal (CB): We are just beginning to understand the issue of sound in Olympic Coast National Marine Sanctuary, and how to use this information to help protect sanctuary resources. Sound travels further and faster in water than it does in the air, about 4.4 times as fast. Olympic Coast, with its wilderness characteristics above water, provides an interesting case study on how "natural" the underwater seascape really is as compared to more use-intensive marine areas. The sanctuary's proximity to Canada also provides an opportunity to understand sound in an international context -- resource managers on both sides of the border are interested in this information. In contrast, Gray’s Reef National Marine Sanctuary is located off of Georgia. Why is sound important there? Sarah Fangman (SF): Gray's Reef National Marine Sanctuary recently worked with a student at the University of Georgia to create an inventory of acoustically active organisms in the sanctuary and we were amazed at the number of species that utilize sound in some way -- marine mammals, turtles, fish, invertebrates. Recognizing how many organisms are using sounds to communicate, to seek prey, to find mates, and more, made us realize that the soundscape is an incredibly important part of the habitat at Gray's Reef. And we're trying to understand that soundscape so we can determine if it is changing. What are some animals in your sanctuary that depend on sound for their livelihood? 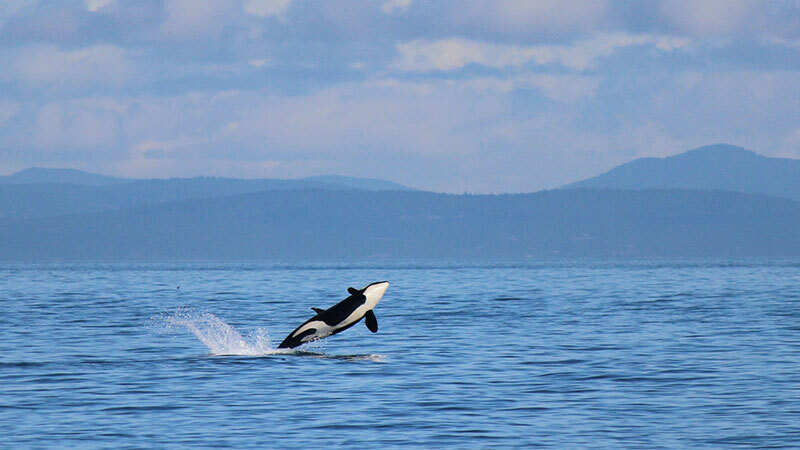 CB: Southern resident killer whales are an endangered population of approximately 85 individuals that spend the summer in inland waters surrounding British Columbia and Washington State, and in winter use the offshore waters including Olympic Coast National Marine Sanctuary. Killer whales use sound for echolocation, social communication, and passive listening. Ambient noise, including natural and anthropogenic sources, has the potential to interfere with the reception and use of these important biological sounds. We also know that fish and seabirds that are found within the sanctuary, use sound for similar purposes of navigation and communication, but are sensitive in different noise ranges compared to marine mammals. SF: There are so many it's hard to know where to start! 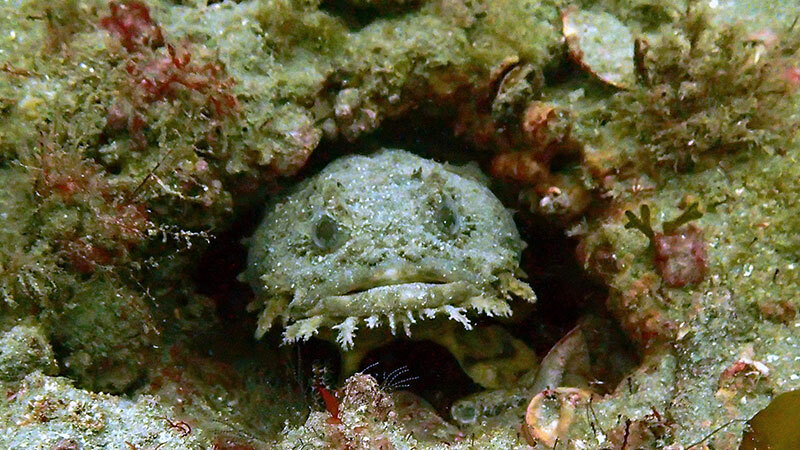 Oyster toadfish, which is a common fish in Gray's Reef, and one that has a face only a mother could love, use sound in courtship and spawning. Spotfin butterflyfish use sound to defend their territory. Snapping shrimp use sound to kill prey and deter predators. What are some of the major anthropogenic sources of sound in your sanctuary? SF: The primary sources of anthropogenic sound in Gray's Reef are recreational vessels. Small, private fishing and diving boats are the most common visitors to the sanctuary. CB: Given the sanctuary's location at the entrance to the Strait of Juan de Fuca, most commercial vessel traffic to ports in the U.S. and Canada in the Salish Sea passes through sanctuary waters. The sanctuary has over 10,000 transits per year by large ships that produce noise. There are also two small harbors within the sanctuary that serve as an entrance point for smaller recreational and commercial fishing boats. The United States Navy has military operating areas offshore that include the sanctuary, where they undertake testing and training activities. Finally, researchers use sound for creating images of the seafloor and documenting marine resources on the ocean floor and in the water column. What kinds of research is being done in your sanctuary to understand biological and anthropogenic noise? 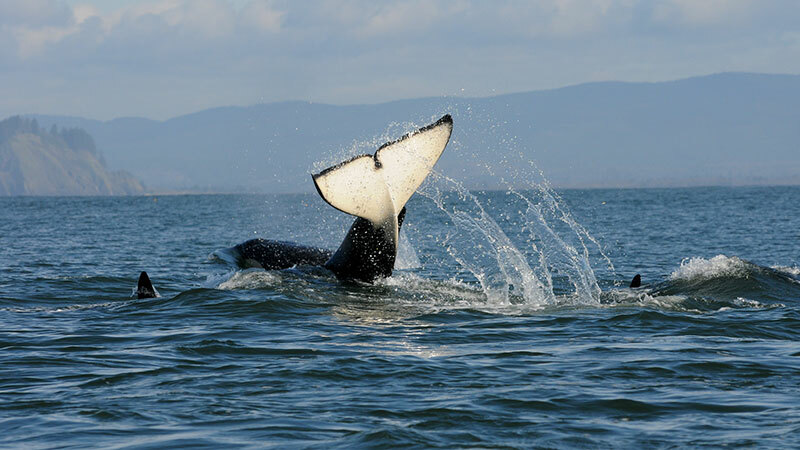 CB: Acoustic monitoring for cetacean (whale) vocalizations has been conducted in Olympic Coast National Marine Sanctuary funded by the Navy since 2004 to document whale presence and seasonality of use relative to varying ocean conditions and Navy activities. This research specifically targeted detection of southern resident killer whales and beaked whales in the sanctuary. Southern resident killer whale research is helping to define critical habitat as required by the Endangered Species Act. Beginning in 2014, acoustic recording moorings have been deployed by NOAA in coastal waters around the nation for the Ocean Noise Reference Station Network to monitor long-term trends and changes in the ambient sound field. One of these moorings is located just outside Olympic Coast National Marine Sanctuary at 920m depth and contributes to characterizing the soundscape of the sanctuary and adjacent waters. SF: Gray's Reef is part of a system wide effort to better monitor and begin to understand the types, sources and patterns of sound in the sanctuary. We are deploying hydrophones at multiple locations during different seasons to begin to collect baseline information on sound in Gray's Reef. How does scientific research about ocean noise influence the management decisions at your sanctuary? SF: We're still in the data gathering stage at Gray's Reef when it comes to sound. We're trying to understand what the sound conditions are first -- and if human-created noise could be negatively impacting marine life. If we find that something we're doing is creating impact, then we'll seek a strategy to address that impact. CB: We are on the front end of better understanding our soundscape, so our focus currently is encouraging and conducting monitoring to characterize current conditions. We have been consulting with the U.S. Navy as they conduct environmental analysis and permitting for their activities within the sanctuary, providing recommendations on how to minimize impacts to sanctuary resources based on what we know about marine mammals and their sensitivity to different sound sources within the sanctuary. What are some of the management challenges facing your sanctuary with regard to noise? CB: We just don't know enough about how sound propagates and influences sanctuary resources. 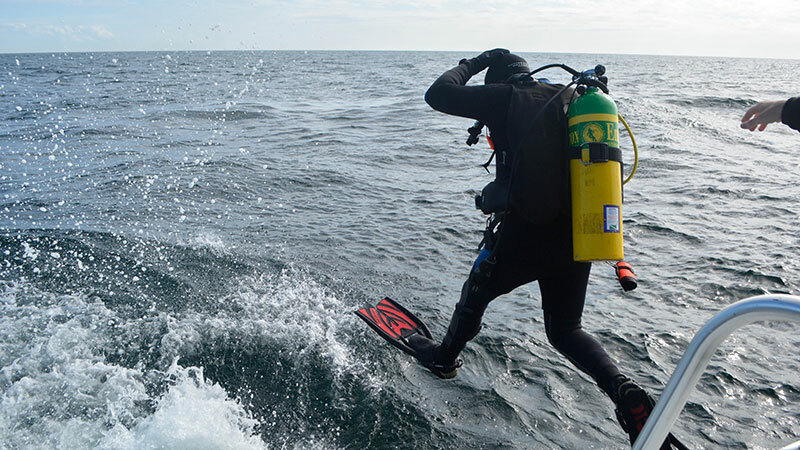 It is very expensive to conduct this type of research and Olympic Coast National Marine Sanctuary is a challenging environment to work in, with rough sea states and remote proximity to research facilities. In addition, not all species react similarly to noise, so how does one create effective management actions to address a wide range of species? SF: The challenge is to understand the soundscape first -- but thankfully we've partnered with other sanctuary staff and partners who are helping us with this effort and we're making exciting progress. Who are some of the major partners the sanctuary collaborates with to understand and manage ocean noise? SF: We've worked with researchers at the University of Georgia, the U.S. Navy and the Northeast Fisheries Science Center -- as well as scientists from other sanctuaries and our national marine sanctuaries headquarters office. CB: The U.S. Navy funds a significant amount of marine mammal research, including monitoring stations within the sanctuary. NOAA Fisheries is also very active in conducting killer whale research within the sanctuary and is the lead agency responsible for conducting permitting under the Marine Mammal Protection Act. The Washington State Department of Fish and Wildlife is also involved with seabird and fisheries monitoring. A number of environmental groups such as the Natural Resources Defense Council are engaged with advocating for better sound management practices within national marine sanctuaries, including Olympic Coast. What do you think is the most important thing the public should know about ocean noise? CB: How animals use sound in the ocean is a fascinating subject, one that brings us closer to an empathetic view of what is going on below the surface. We face new challenges every day on how to effectively manage ourselves so as to leave a healthy ocean for future generations. We need people to understand these challenges and apply our brightest minds towards solving them. SF: As I have come to learn more about soundscapes, what has totally blown my mind is the number of species in the ocean that utilize sound in some way! People typically think of marine mammals when they imagine sound in the ocean -- they don't think of fish! They would be amazed to know about all the different sounds and how they are being used by crabs and shrimp, and baby turtles and lobster...the list goes on and on. And so we need to think about how we may be affecting these creatures and their ability to hear and communicate underwater.